Heat oven to 450°F. 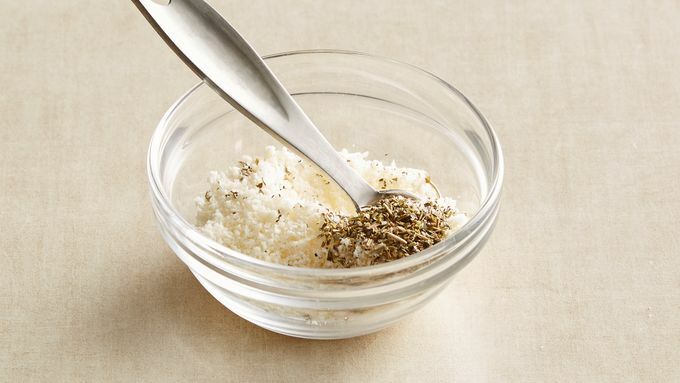 In small bowl, mix 1/4 teaspoon of the Italian seasoning and the Parmesan cheese until well blended. Set aside. Unroll pie crust on large ungreased cookie sheet; brush with butter. Sprinkle evenly with herb mixture. 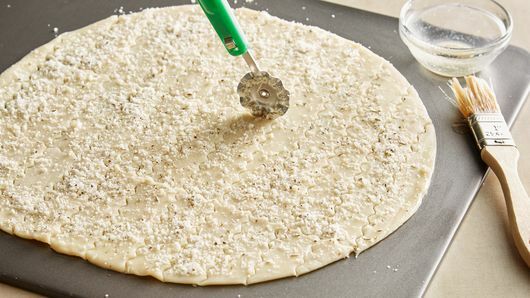 With pizza cutter or knife, cut pie crust into 3/4x4-inch strips. Bake 6 to 8 minutes or until golden brown. Meanwhile, in 3-quart saucepan, mix soup and remaining 1/2 teaspoon Italian seasoning. 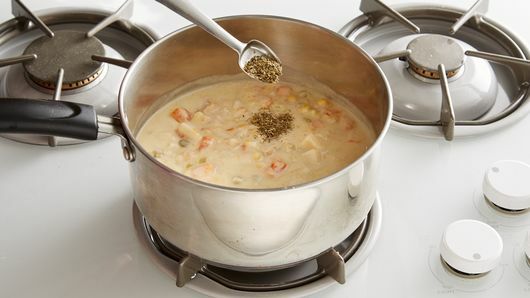 Cook over medium heat 6 to 8 minutes, stirring occasionally, until thoroughly heated. 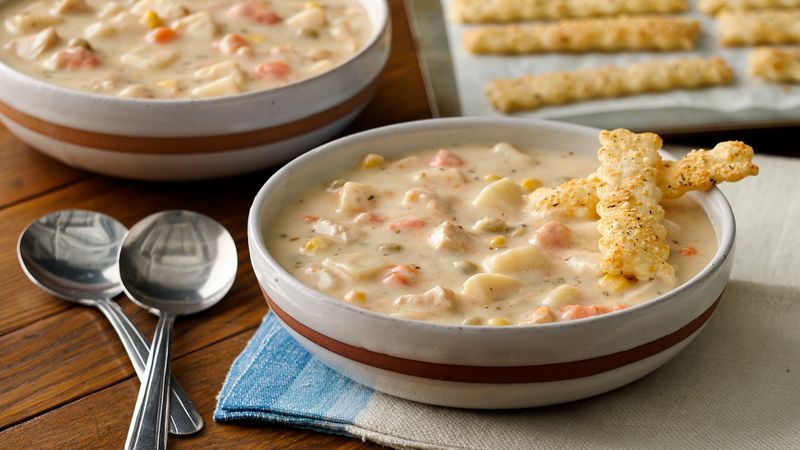 Serve with herb crackers. To make scalloped-edged crackers, cut pie crust with scalloped-edged pie crust cutter. Stir 1/2 cup frozen sweet peas into soup mixture. Cook as directed.